In the fight against poverty, African Women and girls are the most affected population with less tools and opportunities to escape poverty. No matter how it is cut – socially, economically, legally – girls and women in the poorest countries get a raw deal; for the girl child who is denied education or forced into marriage, or for the mother who risks death when she gives life, or the farmer prevented from owning the land she works on. Strong girl campaigners believe, when you uplift the woman or the girl child, everyone benefits. This makes women development critical in the fight against poverty in general. As South Africa’s women’s month comes to a close, ahead of the September 2015 UN General Assembly (UNGA) meetings in New York, SABC and ONE are launching the Strong Girl Campaign with the aim to engage South Africans on the importance of the South African government putting women and girls at the center of their UNGA commitments where new development goals will be agreed next month. The UNGA will meet to discuss the new Sustainable Development Goals (SDGs), which will direct world development efforts for the next 15 years. The event is an opportunity for the South African government and other world leaders to make strong commitments to place women’s development at the core of the new SDGs. The African Union (AU) declared 2015 as the Year of Women Empowerment and Development towards Africa’s Agenda 2063. The declaration is a display of AU’s renewed political commitment and support for the women’s empowerment and the gender equality agenda. Whilst this is a welcome move, it is important that African states must go beyond talking and match its words with concrete action and allocate appropriate resources if there is going to be any meaningful change in the lives of African women and girls. This will require a change from simply adopting policies to fully enforcing existing pro-women policies and initiatives. The AU Declaration of June 2015, to which the South African government was a signatory, was strongly in favor of this position. 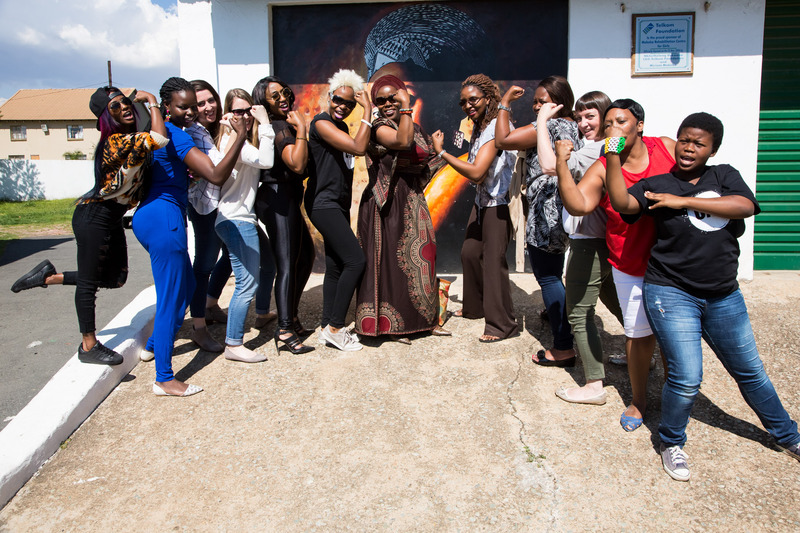 Therefore, ONE and its partners are calling on the South African government to lead the continent by swiftly implementing recent promises made at the 2015 AU summit to invest in women, and ensure these promised programs are part of the implementation of the new Global Goals for Sustainable Development. To help us amplify this call, ONE has put together a policy brief on the status of women and girls in South Africa in line with the AU commitments. Equality legislation – the South African government has produced a number of policies and legislation in pursuit of women’s empowerment. For instance, the Constitution includes Section 9 which promotes equality for all persons and freedom from discrimination and the Employment Equity Act, No 55 (1998) which strives to achieve equity in the workplace by promoting fair treatment in employment. Political participation of women – South Africa has seen a rise in the number of women holding political office since 1994. After the 2014 general elections, women occupied 43% of Cabinet posts, and 46% of Deputy Minister Positions, and 41% of parliamentary seats. Economic participation – Census figures show that in 2010 an estimated 51% of women within the country were active contributors to South Africa’s GDP. Health – The country has the largest antiretroviral (ARV) programme in the world, with 3 million people on ARVs as of December 2014. This programme has significantly contributed to reducing mother to child transmission from 3.5% in 2010 to 2.7% in 2011 (the target was 7.5% by 2016). Gender based violence – In the fight against gender based violence there have been notable inroads. In 1999 the Judiciary established the Sexual Offences and Community Affairs (SOCA) Unit and the Sexual Offences Courts were created to address sexual offences cases. Despite these improvements, there is still so much more which still need for more investments in programs to empower women and girls so improve their status and opportunities. Public budgets allocated specifically to benefit women and girls – Although South Africa scores as one of the most transparent budgets in Africa,(2nd only to New Zealand in the world scoring 90 out of 100 in the latest Open Budget Index) there is no clear indication that the budget is gender responsive. For FY2015-2016 R187, 002,000 were allocated to the Department of Women but it is not clear if this allocation was based on up-to-date gender disaggregated data. Health – Ensure access to prenatal, maternal and child health services. There are more than 6 million people living with HIV/AIDS in South Africa. Women and girls make up 56% of the HIV/AIDS population, which is nearly 3.5 million. They have been affected the most by challenges like lack of easy access to medication and early access to pre-natal care to prevent the cases of mother to child transmission. Political participation – Improve political representation of women. In terms of women’s political empowerment, South Africa experienced a minor setback in its 50/50 by 2015 Campaign for women’s representation in parliament. There was a 4% drop in women’s representation in parliament in the May 2014 elections. This was actually a setback as 44% women representation had been achieved in 2009. Access to Education, Science, and Technology – A 2013 gender benchmarking study found that whilst South Africa demonstrated that women had more opportunities available to them than ever before, their participation in the science, technology workforce remained low and that women remained severely under-represented in degree programmes for engineering, physics and computer science. Violence Against Women and Girls & Access to Justice – Gender-based violence (GBV) remains a significant issue in South Africa with intimate partner violence accounting for 40% to 70% of female murder victims At least 77% percent of women in Limpopo province, 51% of women in Gauteng, 45% of women in the Western Cape and 36% of women in KwaZulu-Natal have experienced some form of violence.